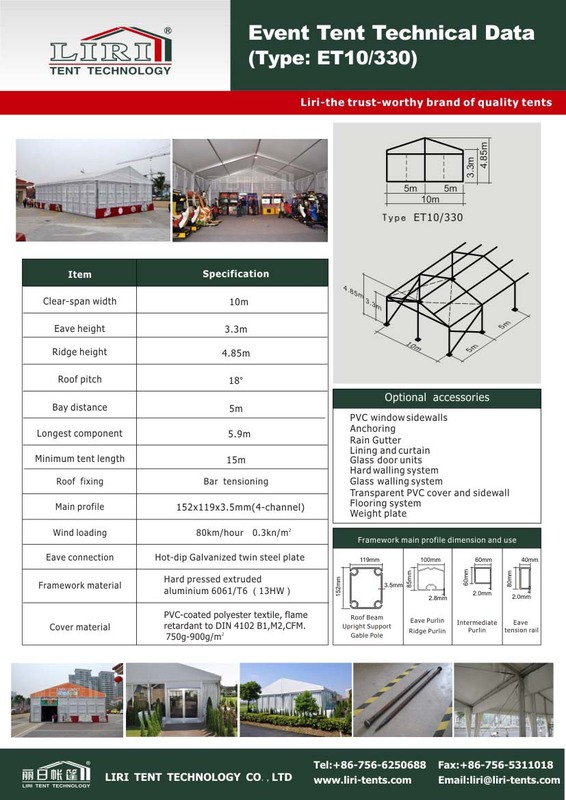 Event tent aluminum structure is available with width from 3m to 80m and unlimited length. This UV resistant PVC roof cover 10x15m event tent with luxury decoration can seat 150 people for wedding party which is really eye-catching. You can use beautiful lining and curtain to decorate the inside event tent. 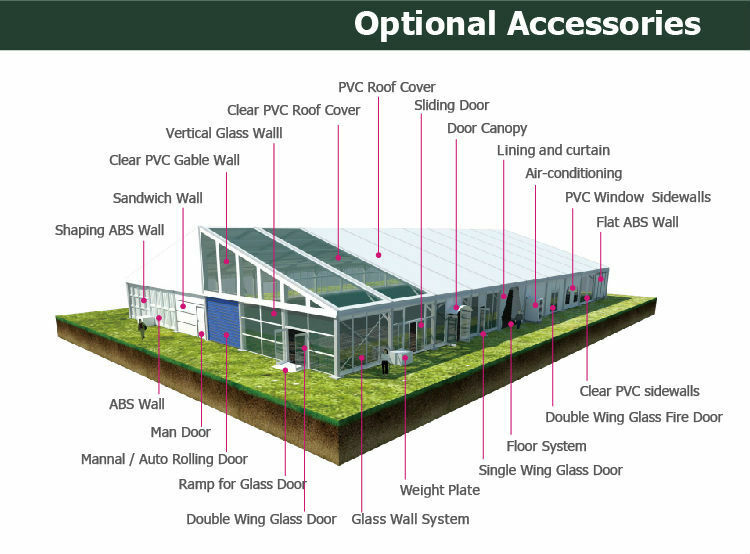 Also we have many diifferent accessories, such as the elegant glass wall system, ABS hard wall, glass door, etc. You can choose all of them to make your event tent aluminum structure more special and attractive. What’s more, this 10x15m event tent aluminum structure with luxury decoration also very popular for our clients in this time. So you really deserve one to make your event more impressive as well.